KARACHI: Sindh Minister for Women Development Syeda Shehla Raza said that political and social reforms of Benazir Bhutto are a magnificent role model not only for Pakistan but the entire global community. We need to identify true Aalims, the government’s writ is to differentiate between Ulema and extremists, the government must not put the nation in front of these extremists. This is high time to enforce the principles and ideology of Benazir Bhutto. She was addressing at the inaugural ceremony of National Conference on Socio-Political Reforms of Shaheed Mohtarma Benazir Bhutto at University of Karachi’s Arts Auditorium. She added that every government except that of Pakistan People’s Party’s (PPP) considered Steel Mills as a burden and ignored the fact that how many families are dependent on it. These are assets of the nation, those who damaged it, built their own steel mills. We saved these assets and will save it; our leadership wants the betterment of infrastructure. “Corruption is in every country including India, China and France, it must be eradicated completely. We must tell the world that we are fighting against terrorism for the whole words that’s why our economy is not progressing,” she added. KU Vice-Chancellor (VC) Dr Muhammad Ajmal Khan said that the purpose of establishment of Benazir Bhutto Chair is to propagate the vision of Benazir Bhutto through academic research. “She was a visionary leader and a role model for all the women of the world. She possessed political thinking since she was trained by her father Zulfiqar Ali Bhutto. She was advised not to return back to Pakistan but despite all sorts of life threats, she came back and laid her life for the love of the country. We need to research on her services for the country”, the VC added. Advisor to the Cheif Minister Barrister Murtaza Wahab was the chair of the concluding session of the conference. He stated that we cannot forget the efforts of Benazir Bhutto in the resolution of social and political issues. It was BB’s government which liberated the media in 1988, whatever media boom we are experiencing today is because of her efforts. She established first women bank in the country and played a pioneering role in women empowerment as well as Pakistan’s first women station was also established in 1993 during her tenure, he reminded. First women judge of High Court Justice Majida Rizwi was appointed during her government and now a female judge is serving Balochistan High Court’s chief justice, he said. “It was her vision that lady health workers programme was initiated to promote health awareness among women and these centres were established countrywide in 1993 and working till today. “We talk about the rights of minorities but we forget that it was BB who introduced the ministry of minorities and she also introduced the ministry for women rights,” he added. Earlier, speaking on the occasion, KU Shaheed Mohtarma Benazir Bhutto Chair Director Dr Muhammad Ahmed Qadri had said that the word politics is at times disliked in this country due to unhealthy practices and wrong use of power by the politicians. “Politics basically is the meaning of serving the masses, but unfortunately, this has not always been the case in this country. That is why a majority of people have turned their faces away from politicians. Benazir Bhutto is among those great leaders in the world who, throughout her lives, fought for the restoration of the democracy. It was her gallant efforts that revived this vital theme. We have gathered here to relive the contributions of this great leader. The political reforms that she suggested, if implemented sincerely, would certainly allow people to benefit from the real blessings of democracy,” he maintained. This event looks to intellectually contribute to the implementation of such political reforms that would promote democracy, social justice, human rights and economic development and I am positive this conference will create awareness among people of Pakistan to support democracy and academic freedom, he further said. Dr Summer Sultana and Dr Muhammad Ali while presenting their research paper, said that BB stood and her stance was accepted and acknowledged internationally for being an exemplary parliamentarian internationally. She was acknowledged as a leader who helped Pakistan through its fight back to bring democracy, basic human rights and a democratic government back in the country and her parliamentary popularity and acceptance can be imagined that when she visited the United States in 1989, they said. 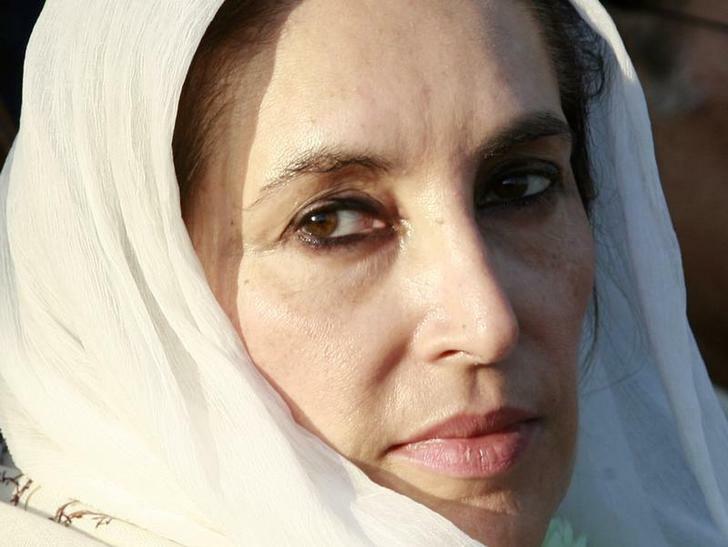 Shah Abdul Latif University (Khairpur) Institute of International Relations’ director said that the personality of Benazir Bhutto was attractive for the people of Pakistan and it was not only because she was the daughter of Zulfiqar Ali Bhutto, but because her personality was polite, humble and dedicated to her work, specially after being Muslim world’s first woman prime minister. It was her personality and her humbleness due to which she is much more popular in the hearts of people of Pakistan as she also worked hard for the poor men and women of the country to boost up their living standards, the director stated.